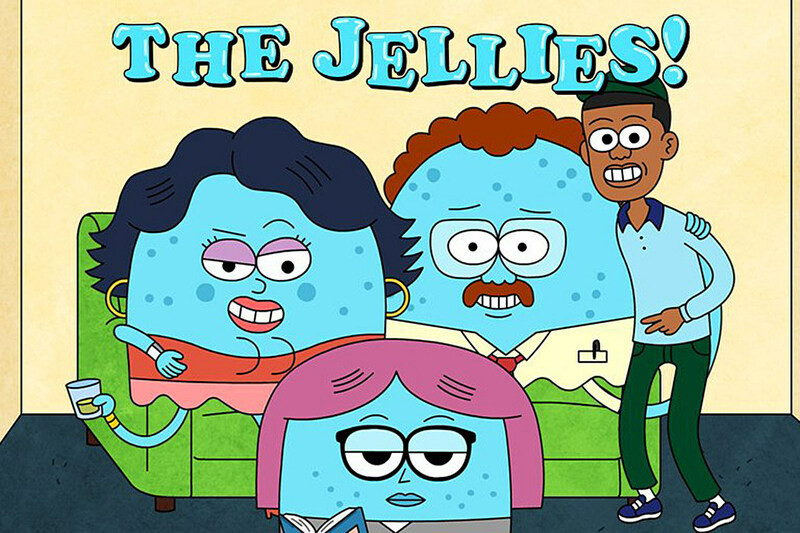 THE JELLIES was created by Lionel Boyce and Tyler, The Creator (who also has the claim to fame of being one of my favorite musicians!) It was so much fun to work on, and I can’t wait until it comes to YOUR television set! A little peek behind the curtain here! : This is the process of making a cover illo for Highlights Puzzlemania. I like to do thumbnails when it comes to covers, instead of skipping right to sketches, so we can figure out the composition, jokes, etc. on a small scale. #3 was picked with one adjustment: Make the centipede curved, and Colleen provided the reference. And then I wanted to provide a number of options for the colors. I’m happy with the one they chose (#2). The blue ants are kinda cool and different, and I like how the red centipede stands out against the cooler green and blue of the setting. Boring to hear about the process? Probably. But there it is! Hey strangers! Won’t you come join me at MoCCA this weekend?! Saturday, April 7th and 8th (<– my birthday!) I’ll be selling my comix, THE ADVENTURES OF STEGOSAURUS Vol. 1, vol. 2, and JUST PUBLISHED, VOL. 3, which features the debut of Coaster Girl, and the supervillains, The Coffee Stain, and The Dust Bunny!! Also, I’ll be giving away my latest Best Show Poster, for FREE!!! The 15×24 prints look fantastic, and are perfect for framing! I will not be displaying them, but if you want one, simply use the secret password: “Toilet Car”. Some come say hi, buy my comix, talk Best Show, n’ more! More MoCCA deets: Metropolitan West, 639 W 46th street between 11th and 12th Ave. Table B 124-126. Hi gang! Here’s a new puzzle I’ve done. It was THE MOST CHALLENGING one to create so far, so you better have fun doing it. See it BIG here! I actually created a total of TWELVE of these, so stay tuned for more puzzles!